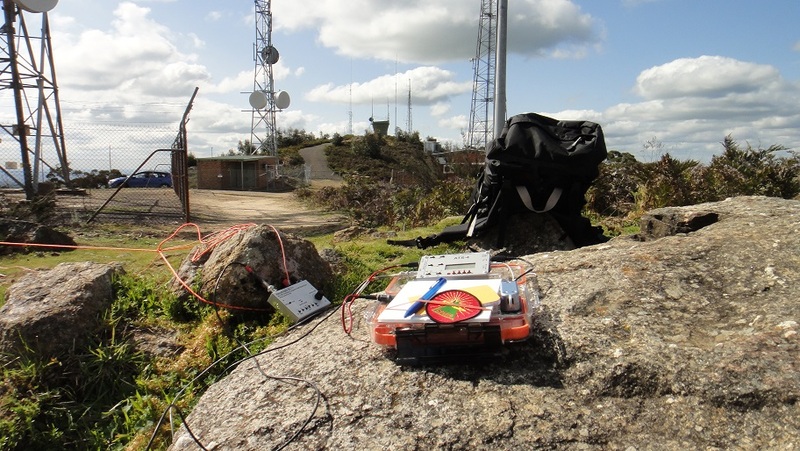 The release of a new Mountain Topper Radio (MTR) by Steve KD1JV had resulted in a number of local amateur picking up there first mini CW transceiver. Once the owners had built their radios interested then tuned to compact accessory in particular small Morse paddles. Interestingly it seemed across the owners that at least one of each compact paddle was already owned. The obvious idea was to then arrange for a catch up to compare both the paddles and other SOTA gear, so the VK3 Show and Tell day was organised. A suitable venue was selected this would allow attendees to camp the night before if they wished, the opportunity to activate on the way down and the venue also offered plenty of local summit all still in the bonus points period for post S&T activations. I chose to do Mt Wombat on the way down, this is a great summit with plenty of setup up options, views and easy access from Euroa. We could have stayed chatting there all day the lure of SOTA summits is two strong so we all headed off, I went to another easy to access summit vk3vn-019, this is a road side set up allowing me the comfort of chasing the other three activations, which included two cross mode contacts.